Social worker by day; wannabe foodie by night. Despite setting an alarm, Derek and I slept in until 11:40 this morning! I couldn’t believe it. I haven’t slept that late since undergrad. I think the insanity of the last few months is finally catching up with me. A few hours later we left Durham and headed to Wilkesboro, where Derek’s family lives. It’s a quick trip since we have to head back tomorrow afternoon, but I’m glad we could make it to celebrate Easter. It’s our first holiday as a married couple! These were SO easy to make. 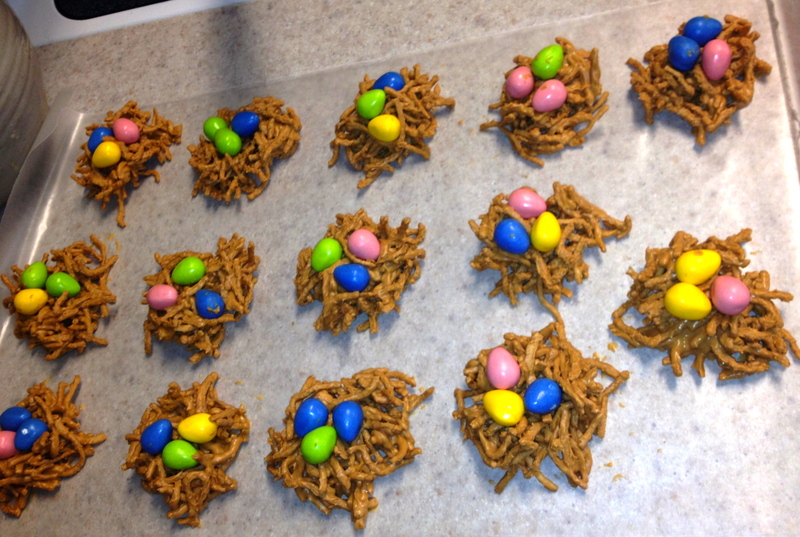 If you’ve ever made haystacks before, it’s exactly the same except you add Reese’s Pieces Eggs. Enjoy! Add chow main noodles to the melted butterscotch and peanut butter mixture. Mix well. Scoop out 1 to 2 heaping spoonfuls of the mixture and place on wax paper. Allow the nests to cool for 20 to 30 minutes before eating. Welcome to Brown is the New Pink! My name is Ali Brown Pinkerton. I live in Indianapolis, IN with my husband Derek. 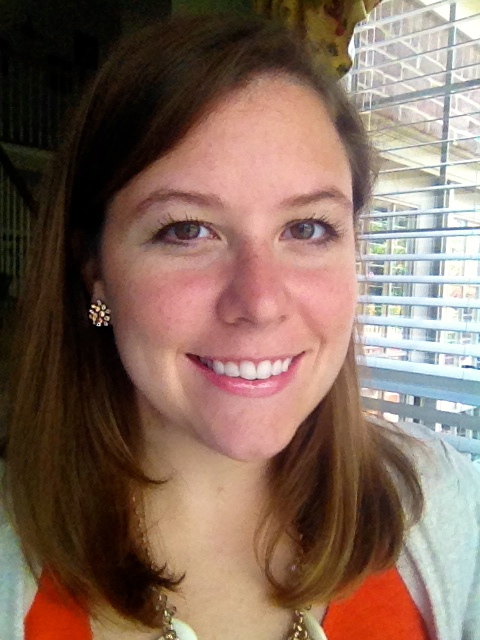 I'm a medical social worker with my Master's of Social Work from UNC - Chapel Hill. Besides my interest in social justice, I love cooking healthy (and sometimes not-so-healthy) foods, running, reading, and traveling. That smile. 💕 This silly dog has stolen my heart. Keeping it fresh, one bite at a time. A journey to the Gastronomy Universe. A one-stop destination for foodies, chefs and wannabes.